Yes, WordPress is popular, I get that. Does that mean it’s perfect? Without any glitches or problems or errors? Absolutely not! Nothing is. Not even the spacecrafts we send into deep space, so how can we expect a million lines of codes to be, right? Although yes, over time WordPress problems have minimized, and those which exist till date can be fixed easily in minutes if not seconds even by the most inexperienced users. So in this tutorial, I’ll simply walk you through how to fix the “White screen of death” error, but before that, let’s glance over what causes it. 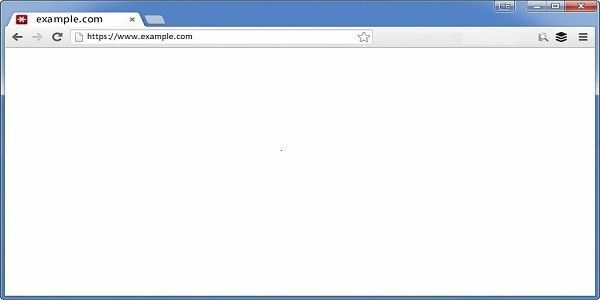 What is the White Screen of Death Error and Why it Happens? Ever seen Microsoft’s blue screen of death? It’s similar to this. Nothing happens. Yes, exactly “nothing” happens. There’s no error message, no code for you to Google for its solution, Just a plain, empty, barren white screen. It won’t tell you what’s wrong, but something definitely is, isn’t it? The primary reason why it can be a real pain is because the server or WordPress doesn’t tell you what’s wrong, so first you’ve got to find the problem and only then you can fix it. The other reason why it irritates me more than other errors is because, at times it’s “partially effecting”, means either only the Admin panel will be hit, or a specific page of the site, or the complete site but not the admin panel and so on. So you don’t even know you’ve got the error unless you’re exactly on the page where the error has occurred. And here’s how to verify and tackle each one of those. The reason I love WordPress is most of its issues are “plugin-related”, and can be fixed by pinpointing the exact plugin causing the issue. Now, in case the white screen of death hasn’t effected your admin panel, you’re in luck. Simply head over to the plugins section, and disable all the plugins. 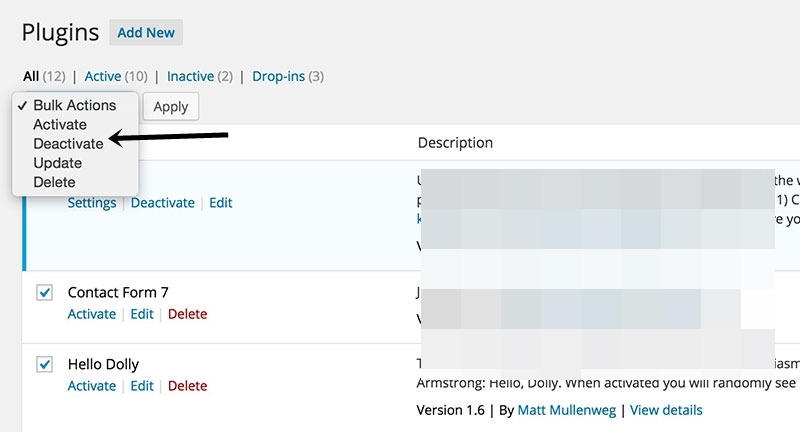 If your admin panel is hit and you can’t access your dashboard, in that case login to your Cpanel (or use a FTP client), and head over to Wpcontents folder in your WordPress directory. There you’ll find a folder named “Plugins”, simply right click on the folder, and rename it to anything else you want. This will disable all the plugins that your WordPress installation has. If the plugin was causing the issue, it should be fixed now, and you can now access your dashboard. Either way, regardless of how you disabled your plugins, now start activating them one by one. Eventually you’ll activate a plugin and the issue would come back up, so repeat all the above steps, and this time permanently delete this plugin because activation of this is what caused the issue, hence you got your culprit. If it’s an extremely important plugin, you can try to get in touch with the plugin developers and ask them to fix the issue. If this process didn’t solve your problem, well then you need to check the other solutions on this list. After plugins, themes are the most common culprits causing the white screen of death. Simply find the name of the activated theme, and delete the folder. This will auto-revert your site to the default WordPress theme. If you can access your Admin panel, well in that case login to your dashboard, and manually chose a different theme. If that solved the problem, great. If not then it still may be an issue with your theme files, just a different issue. Check the “functions.php” file available inside the “theme folder”, theme here means the name of the theme you’re using. In case there are “extra spaces” at the bottom of the functions.php file, delete those spaces and see if that fixes the issue. If the issue still exists, all isn’t lost yet and there still is hope for you. The PHP memory issue is caused when your WordPress installation needs more memory than has been allocated to you by default. This causes many errors, and one of them is the white screen of death. In most cases, the hosting servers are capable of auto-increasing this when needed. But well, maybe you just weren’t lucky. Either way, you can increase the PHP limit yourselves in easy steps. Again, login to your CPanel or use an FTP client to access your WordPress core files. You need to find the “wpconfig.php” file which is located in your WordPress installation directory. This is one of the most important files for WordPress, so all you need to do is, right click on it, click on “edit” and paste the following line just before the last line of the file. You just increased your memory limit to 256Mb which in most cases is enough to solve the error. Hopefully your issue is resolved by now. If not, there still is one last straw for you. So if nothing else has worked for you, drop a mail to your hosting provider, let them know of your problem and if they’re courteous enough, they’ll solve it up for you. Forget not to mention that you’ve already tried the above-listed solutions, so that they know you’re contacting only as the last hope and not just bugging them without any of your own efforts. Even though this is just one of the issues, WordPress has quite a few of these. 000Webhost did a detailed piece on how to solve some of them, totally worth checking out. And do let me know your feedback on this piece, it helps me improve this further.